CRAPTASTIC: Five Feature Friday #29! Another great week down! I only have 1 1/2 weeks left at my current rotation! That's upsetting! I'll be happy when this rotation is over, because I'll be completely finished with my research paper and I can focus more energy on projects. BUT I'll be real sad to leave this rotation! I've been having a blast! Before the features I wanted to show you what we did at our paint class last night! We did small owls! Trish had a few different owls you could choose from to paint, or you could make up your own design. Here's mine! I had to add chevron, of course! I stuck to grays and blues! Here are some of the other owls! My Mom did the UT owl, Amber also did a gray and blue owl (we didn't plan that at all, we both walked in with the same color scheme of paints!) and another gal did a pink owl! Love them! Next time we're painting a big sleepy owl, again in any color sceme you choose! I'm deciding on my theme right now, becaue I think I might put it on the front door as part of my spring wreath! The next class is March 24th @ 5pm. It's held in the Hobby Lobby in Murfreesboro! Only $10 if you want to come! A Girl and A Brush madeover this dresser in a gorgeous soft green! You can click over to see what she used to make her fragile drawer pulls extra sturdy! Owen's Olivia is at it again with this amazing pallet wall! I want one of these so bad! I love how it softens the room but adds so much character! 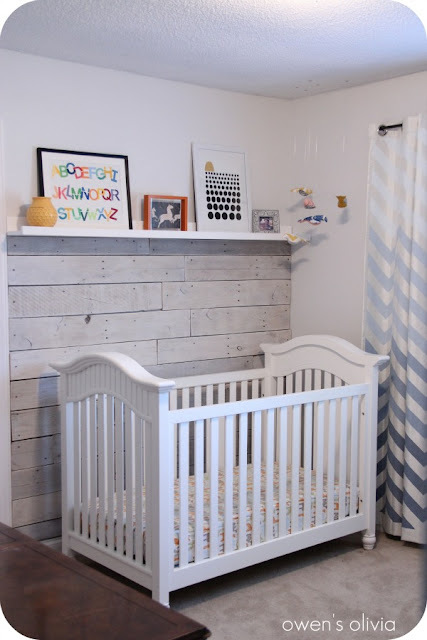 Paint Speckled Pawprints shows us another way to use pallets! She made these amazing floating shelves for her bathroom makeover! Love them! Bridgey Widgey saved this old desk from certain doom! I am completely in love! 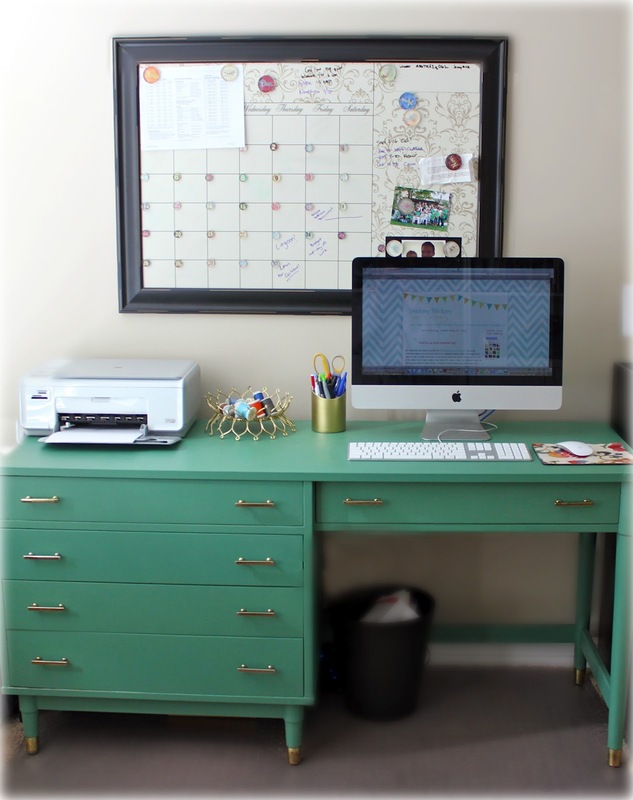 Herringbone Lane turned this boring Ikea dresser into an eye catcher! Love the two toned look! your owl is adorable! i love him! and i am saving this so i can come back to it tomorrow night when i have more time- i need to visit some of these awesome features! Hey Katie. I'm high fiving you right now! Thanks for the shout out. You also featured some amazing furniture that I am going to pin right now. Thanks again!! Thanks for the feature Katie! Omg, totally blushing over here. Love the name of your blog - you're a girl after my own heart! Katie, thank you so much for popping over at my blog and featuring my floating shelves! You are too sweet! Those owls are the cutest things in the world. Your blog is hilarious and simultaneously adorable -- love it! Katie, I love your owls. Where is this class? The owls are so cute! I think one would look perfect as part of a wreath. I'm looking forward to seeing your wreath.